Jin Li is a professor of management and strategy, with joint appointment in economics at Hong Kong University. Prior to HKU, he has taught at Kellogg School of Management and London School of Economics, where he was a tenured associate professor of managerial economics and strategy. During his tenure at LSE, Professor Li won the Management Department teaching prize. 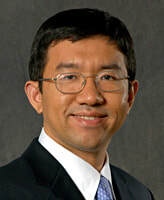 Professor Li's main research area lies at the intersection of organizational economics, personnel economics, and labor economics. It focuses on the dynamics of informal relationships and explores how firms can design organizations to align incentives and build trust. This research sheds light on how organizational design can be a source of competitive advantage. Professor Li has published in leading academic journals such as the American Economic Review, the Review of Economic Studies, AEJ- Microeconomics, Journal of Economic Theory, Journal of Labor Economics, and the RAND Journal of Economics. His works have also been featured in media outlets such as the BBC, the Economist, and Quartz, and he has written for Harvard Business Review, Caixin and FTChinese. Professor Li earned his BA in economics and math (with high honors) from Wesleyan University, a BSc in applied math (with honors) from Caltech, and PhD in Economics from MIT.